The Conundrum of Christmas. Christianity could be considered a monumental oxymoron. The global message ‘Peace on Earth, Goodwill to all Mankind’ sits uneasily alongside the battle cry of a Christian nation ‘In God we Trust’ and with that of Islam’s ‘Allah Akbar – Allah is Great’. Peace and war come together in Oliver Cromwell’s dictum “He that prays and preaches best fights best”. Logically, this should equally apply to Christian and Muslim soldiers. Using the theme ‘Peace on Earth’, this festival kangaroo-hops round the globe looking at non-Christian cultures and their accommodation of Christmas. Christian numbers in the Arab and East Asian nations tend to be vanishingly small as a percent of population. Christmas in the Islamic World. Indonesia. Christmas Day or Hari Natal is celebrated in Indonesia in keeping with the Principles of Pancasila. This ensures an accommodating policy on faiths other than Sunni Islam. The National Islamic Council has approved Christian church services and fosters inter-faith harmony. Over the Christmas period, shopping malls radiate festive cheer and decorations to the repeated strains of ‘Silent Night’ – ‘Malaam Kudus’. December 25th is a gazetted religious holiday. To enforce government policy, tens of thousands of security guards move around churches and shopping malls. Saudi Arabia. Not even the birthday of the Prophet Mohammed is recognised. To acknowledge the birth of Jesus is a crime. This Sunni kingdom is dominated by the strict Wahhabi doctrine. 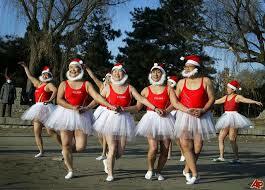 Clandestine Christmas celebrations are a punishable offence. Iran. A Shiite republic with a history of Zoroastrianism and Armenian Christian faith. The Christmas period is holiday a season with the ‘Virgin Birth’ celebrated on the 24th and Epiphany on the 8th January. The malls are ablaze of merchandise, Christmas trees, music and colour. In Iran Jesus is recognised as one of God’s messengers. Ayatollah Kohamenei, spiritual leader, has stated “it is time for caring Muslims, Christians and Jews to obey the prophets and honour Jesus’ birthday”. Pakistan. This is a Sunni dominated republic. The 25th is a public holiday. It is also Jinnah’s birthday, the founding father of this nation. On Christmas Eve there are services to promote peace between Muslims and Christians. The Big Day or Wadda Din is one of feasting and merry making- it includes exchange of gifts with Muslim friends. Despite an apparent relaxed mingling, Christians must be ever vigilant not to transgress blasphemy laws; mob violence is responsible for assaults and death of Christians. Bangladesh. Another Sunni republic that permits freedom of religion however sectarian violence is common. The Big Day or Barra Din is celebrated with midnight services – observance is more a shopping spree enlivened by decorations and frivolity involving all faiths. China. Freedom of religion is suppressed however tightly controlled faiths are permitted. There is no holiday on the 25th but the Chinese have welcomed the festival of Christmas with gusto and an explosion of consumerism. 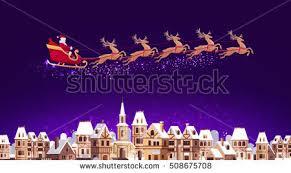 It is a shopping frenzy among coloured lights and uncountable Santa Claus’. Christmas Eve is for romantic dining or raucous parties with friends not family. Japan. Among the Shinto and Taoist faiths Christianity is almost non-existent. The Christmas period is one of rampant consumerism buried beneath a crescendo of lights, colour, glitz and bling. There is no public holiday on the 25th. Democratic Republic of Congo. A country wracked by civil war, corruption and under the thrall of missionaries. The religious significance of Christmas is important and the churches explode with music and song. Christmas is for the children who receive new or recycled clothes from street kiosks. For some adults special Western foods are imported to spice up the monotonous cassava based diet. Quo Vadis, Christmas Day or Big Day. Across the Islamic world the celebration of Christmas will become more difficult. Concurrently, the hedonistic festivities of the Big Day will become evermore garish and consumerist. It must not be forgotten that Christ’s birthday has been assigned to the Winter Solstice, a date shared by many extinct faiths. It was a date of major significance for societies in the Northern hemisphere. If you cannot beat them, join them! Charles Darwin’s axiom, ‘It is the survival of the most adaptable not the fittest’ is relevant to Christian and Muslim ethos. In times of adversity, the Christian mantra is ‘God help us’ while the Muslim intones ‘It is the will of Allah’. The former represents a plea for assistance while the latter encourages a devout Muslim to assist Allah to ‘make it happen’. This is a core difference between these two cultures. 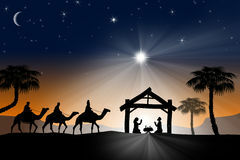 In the century ahead Christianity is forecast to decline in the West causing festivities to veer more towards a ‘Big Day’, rather than a ‘Christmas Day’. The spirit of ‘good will to all men’ should survive but ‘peace on Earth’ will remain a pipe dream. A Quo Vadis issue for the Christian West has emerged from left field. With the rise of women pari passu men in the Christian West the fertility rate has declined below replacement level. This is a profound issue with, currently, no rational solution and yet one must be formulated!! May we all enjoy some spiritual contemplation and time with Family and Friends.